GEORGIA. 2016. Village Napati. The location was one of the control point of the de facto region of Abkhazia and Georgian controlled territory. Once you crossed the bridge you were in Abkhazia. 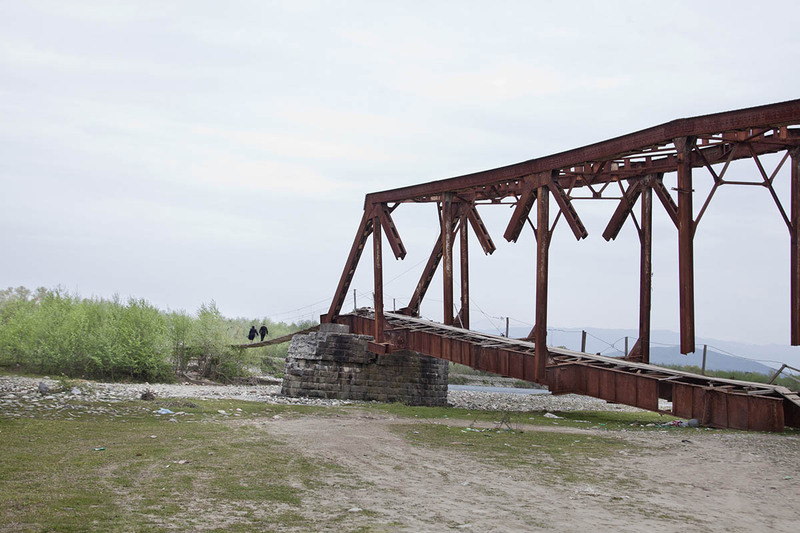 The bridge used to be a railroad which was bombed by the Russians in the 1993 war and is strictly off limits to non Abkhazians. After March, the bridge is not longer functioning.